James Ensor (1860â€“1949) produced some of the most unusual paintings of the late 19th and early 20th centuries. Marked by psychological complexity, contradictions, and sheer eccentricity, his worksâ€”featuring such bizarre subject matter as dressed-up skeletons and macabre carnival masksâ€”have continued to baffle and intrigue in equal measure. Ensor was born in Ostend, Belgium, and despite his success barely left his home town during his lifetime; his familyâ€™s curio shop, which was filled with exotic objects including parrots, a monkey, and masks from around the world, surely influenced the imagery of his mature work. 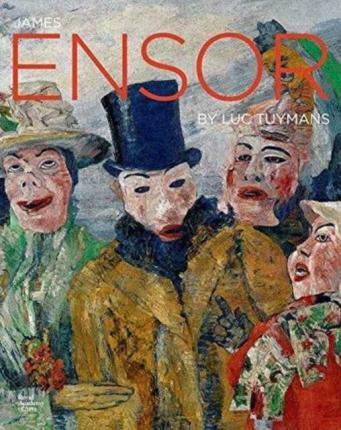 In this volume, published to accompany a major exhibition, essays explore Ensorâ€™s life and legacy, while leading contemporary artist Luc Tuymans comments on his selection of Ensorâ€™s works, offering a distinctive view of Ensor, one only another artist can provide.